“Are these floors hardwood or laminate?” It is a question we hear all the time and it’s not surprising. From design, texture, and color options, the realism of laminate flooring has come a long way over the past few years. 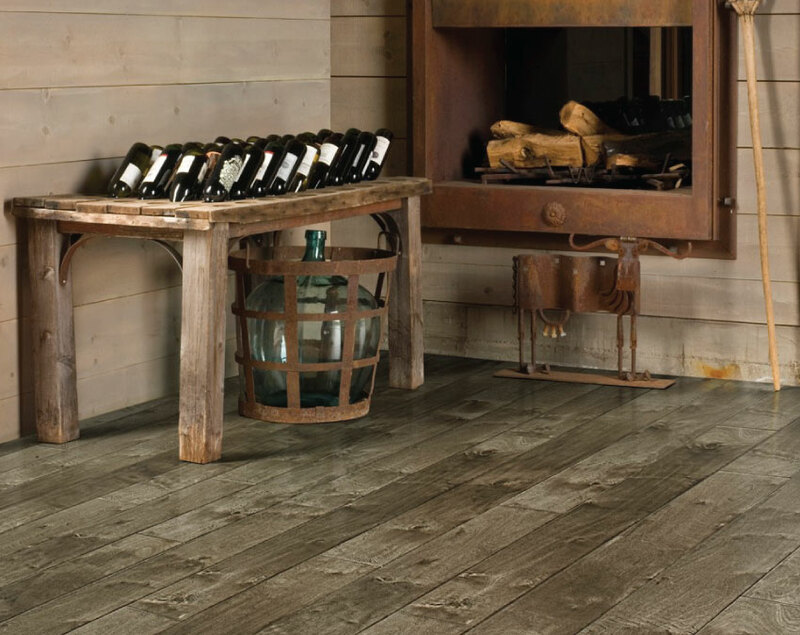 The Palmetto Road styles range from rustic, distressed looks to wire-brushed with low-gloss, matte finishes so, there are no design limitations with laminate flooring. 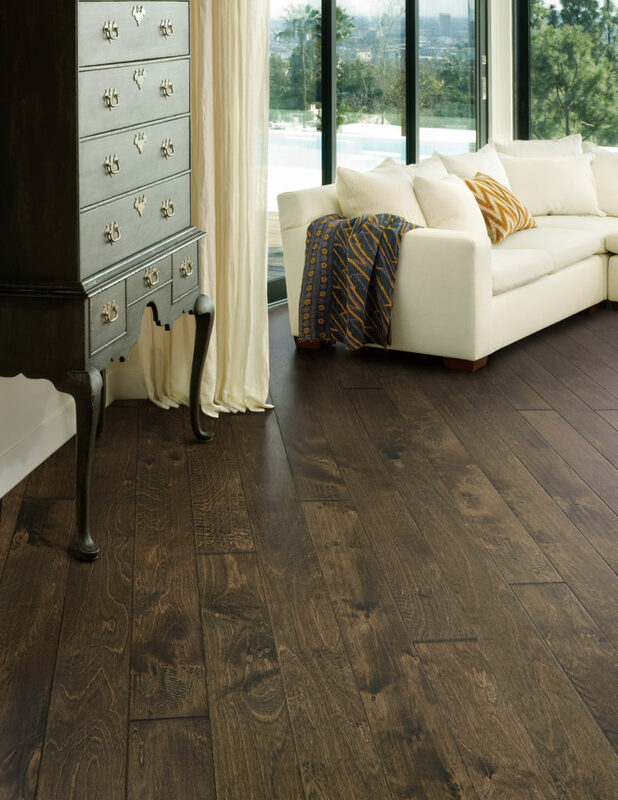 Our Palmetto Road Cambridge Collection is the laminate cousin of our popular hardwood collection, River Ridge. When we first viewed Cambridge, we put the boards beside the River Ridge boards and played the “guess which one is hardwood?” game with the Palmetto Road team. We are surrounded by hardwood in our office so, surely everyone here would guess correctly, right? Nope. You’ve never seen a group of people so excited to be wrong! Even some of the veteran flooring experts could not tell the difference at first glance. The Birch wood visuals and color palette of Cambridge so closely matches River Ridge that it provides a great solution for rooms where laminate may make more sense than hardwood. There are numerous reasons why laminate can be a better choice than hardwood. Not only is it more budget-friendly, it has a strong durability that holds up to the wear and tear of a busy home. It is a great choice for families and homes with pets because of the scratch-resistant top layer. It allows you to have the hardwood style and look you want without the worry of day-to-day life damaging your floors. Visit a Palmetto Road retailer near you to see all the design and color options in our laminate collections.